Gaming can be really valuable for your kids. A well-made video game will test concentration, reaction times, perseverance and determination. They can be very rewarding, and quietly teach practical lessons too (that’s the Minilab shtick after all!). Why not get the best of both worlds by setting a timer on the screen time, but following up the fun with a relevant real-world experience? For example, follow up a racing game with remote control cars outdoors. Or, a natural history game with a stroll round a local museum. This will ease the wind-down process after screen time, and give them something to look forward to out and about. And if you’ve got an innovative future engineer or designer on your hands, why not encourage them to create their very own video games? There are a variety of entry-level tools like the Rasberry Pi to help you on your way (lots of them are off-screen too). Not only is programming a highly relevant skill in the current job climate, but it doesn’t feel arduous. There is a lot of freedom to create the kind of games you want – a maze, a racing game, a numbers puzzle, and so on. Once they have something built, play together and see who plays it best! Many believe that art and computer science don’t mix, but that couldn’t be further from the truth. Our Artie apps are specifically designed to encourage fine motor skills and help little ones to feel more confident drawing the basic shapes that make up the world around us. 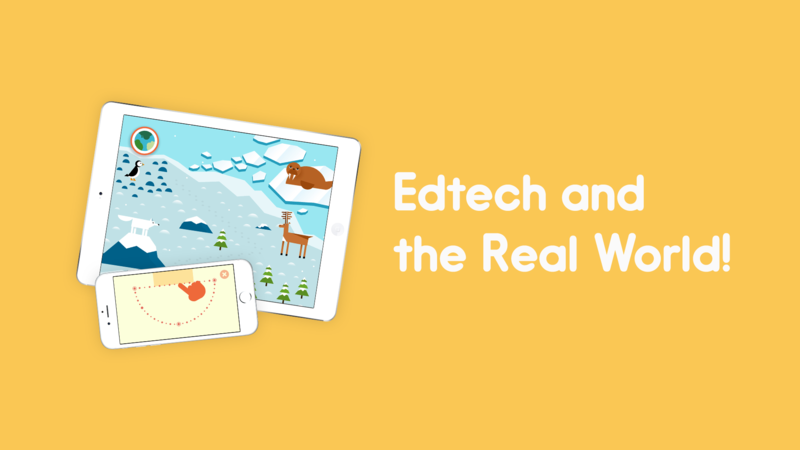 Again, you can follow up creativity-based edtech games with real-world creation. Pictionary could help drum in some of the new things they’ve discovered, while a simple pad and colouring pens will let their imaginations run wild. Compare what their digital art looks like against their real-world art: how is it different (brighter, more colours, more neat)? What is the effect on the viewer? We hope you have a great week ahead, and that your weekend is full of inspiration and fun!